The smartwatch market is still waiting for its killer product, and when it emerges Japan Display will be ready. This screen manufacturer announced a new smartwatch display on Thursday. Like the screens announced last year, the new display promises to save as much as 99% of the power required by a typical LCD screen. The new display unit measures 1.34" across and has a resolution of 320 x 300, making it somewhat sharper than the models unveiled last year. 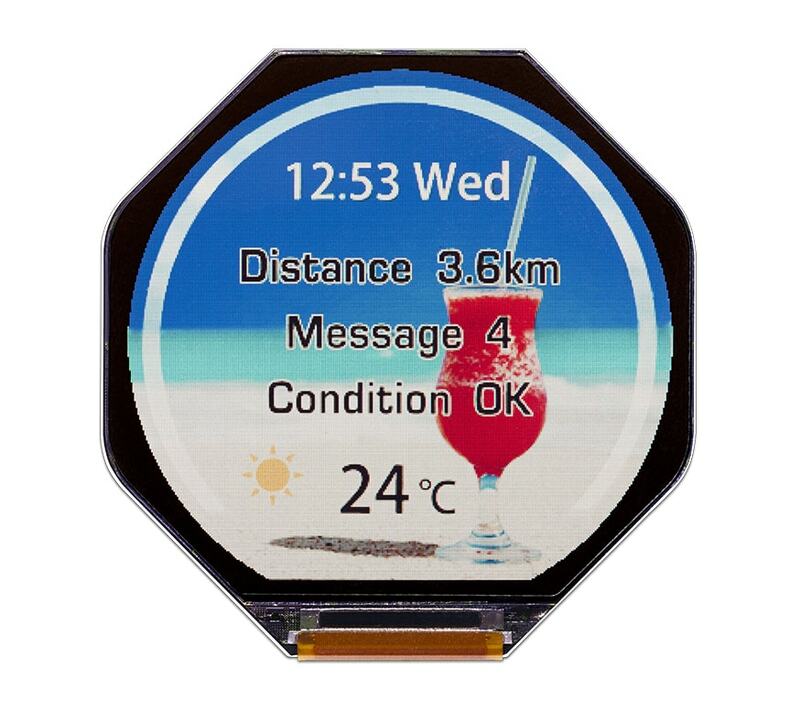 It is a reflective color LCD which gets its power-sipping abilities from its unique construction. Each pixel has a tiny amount of memory built in, thus saving power by eliminating the need to constantly refresh the screen, but that comes at a cost. The spec sheet indicates that the low power mode supports fewer colors (8 colors RGB) than the full power mode (262k colors). Japan Display first showed off this tech in 2012, and the smartwatch screens launched last year used it. From what I can tell, the VivoActive smartwatch from Garmin may be using the rectangular screen which launched last year, but I can't find evidence that the screens are used elsewhere. JDI said in the press release that samples are scheduled to ship in March with mass production set for July.